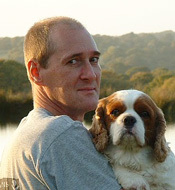 Russell Jamieson is the developer of the SubscriptionBoss WordPress plugin. The plugin was released 17th May 2011, but Russell has been running the plugin successfully since December 2010. Russell is a software engineer and database designer of some 25 years experience. He has a BSc first class honours degree from Strathclyde University in Electronics and Microprocessor Engineering and then went onto work in various European cities as a software engineer. Later in his career he worked for Barclays Global Investors, UBS, Credit Suisse, Digital and Honeywell. Russell has also completed Chartered Financial Analyst Level 2 Exams. Since 2011 Russell has brought his financial knowledge and the rigorous software development practices he has used in investment banking to WordPress Plugin Development with a view to finding a way to work from home. His first WordPress plugin, a Flickr plugin called Slickr Flickr has had over 40,000 50,000 70,000 90,000 100,000, 145,000 downloads. Russell is part of the husband and wife Devon Web Design team. Russell is originally from Scotland but now lives in Devon, in the south west of England. He is pictured at home with his dog Rio.